Jobs in ETFs attended the Inside ETFs conference in Florida in January. Along with many other takeaways, we were excited to hear and learn what the biggest trends in the ETF industry are. The US setting the pace is especially true in the world of ETFs, as the country was the starting point for the industry and continues to strike ahead of Europe and Asia in terms of product innovation, investor uptake and asset growth (assets invested in ETFs/ETPs listed in the US reached US$2.549 trillion at the end of 2016 according to ETFGI compared to US$571 billion in Europe and US$135 billion in Asia Pacific ex-Japan). Even if you don’t fancy a spell working in the US this year, job hunters and ETF participants should look across the pond to get an idea of the biggest investment trends and where future job opportunities could arise in Europe as a result. Some of them might shift over to Europe in the near future, some might take a few years longer – and some might never successfully hit European shores – but take 2017 as an opportunity to review the largest, most important trends and think about how they could affect your own career path. Sustainable investing and ethical funds have become one of the main growing trends in the ETF world, and show no sign of slowing down in 2017. But who would have thought gender diversity would be such a lucrative fund launch? SPDR took that leap of faith. The SPDR SSGA Gender Diversity Index ETF (SHE) launched in 2016 and raised $275 million, becoming the third largest launch in the US last year. There is not such a fund yet in Europe – but assets of $275mn surely spark interest among product providers here. Look out for companies that already offer sustainable funds – those that screen out companies that are bad for the environment, or divest from arms manufacturers. UBS and iShares already launch a range of sustainable funds, for example. And who knows, they may branch out to gender diversity soon. Multi-factor ETFs – funds that track several equity risk factor indexes simultaneously to smooth out market returns – are poised to grow this year as assets flow out of active funds. Active equity mutual funds in the US lost a massive amount of assets in 2016 – $100 billion in the first 11 months of the year alone —and more than the combined outflows in the previous three years, according to Morningstar. To fill that gap, ETF providers created alternative products to meet the demand of investors who wanted exposure to active manager-style investment “tricks”, but in a low-cost, passive fund wrapper. iShares, Lyxor, UBS, SPDR, and Amundi have all at least dipped a toe into that space and might build out their ranges in future. Smart beta – an ETF that does not rank stocks by a traditional market capitalization weighting scheme – is not a new trend but it continues to grow at a very fast rate. In 2016, around half of the 249 new ETFs launched in the US fell into this category. Amundi was arguably one of the first providers in Europe to strike ahead in the smart beta space with its expansive range of low volatility and minimum variance products. Luckily for job hunters, most ETF providers in Europe have since cashed in on the trend and are all building up their ranges in this area. The question to consider on the sell-side, at least, could be: is your employer behind the curve, or are they at least showing signs of catching up with that trend? Fixed income was the third largest group of product launches in the US last year at 12% – up from 7% last year – and there are several providers who are working hard to fill out their ranges in Europe. This includes UBS, Amundi, iShares and Lyxor. This trend is significant as prices have fallen considerably within the asset class for the first time in the industry’s history and are becoming more reflective of mainstream, low-cost equity ETFs. Some fixed income ETFs are now as low as 0.09% in fees – and that cost benchmark will undoubtably set the trend for future product issues. There is such a long way to go with fixed income, and product gaps to fill, like currency-hedged bonds, particularly sterling-hedged, and bonds of mixed categories in one fund. Take it from Jobs in ETFs: fixed income is the new equity. Is your employer aware? When PureFunds launched its Cyber Security ETF (ticker HACK) in late 2014, some pundits might have dismissed it as niche and even a fad. Two years later, the fund has grown to more than $770 million and has become one of the most relevant and on-trend funds today, given increasing large-scale cyber breaches against western companies and even government agencies. 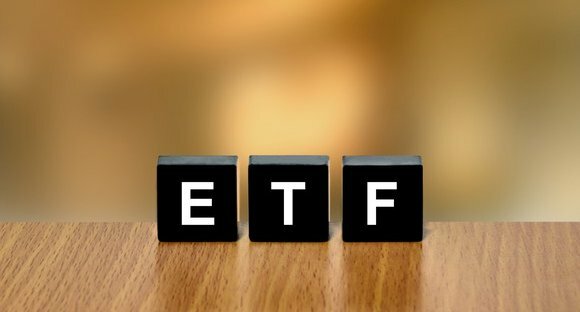 ETF Securities followed with its own cyber security fund in the summer of 2015 and has raised $80 million in assets. The message for job seekers and those wanting new opportunities in the industry, in a land of mostly plain vanilla funds, is to consider working for a company that thinks outside the box. Remember, the risk might reap rewards in the future.